The FIRST CT manufacturer with an indication for low-dose CT lung cancer screening! 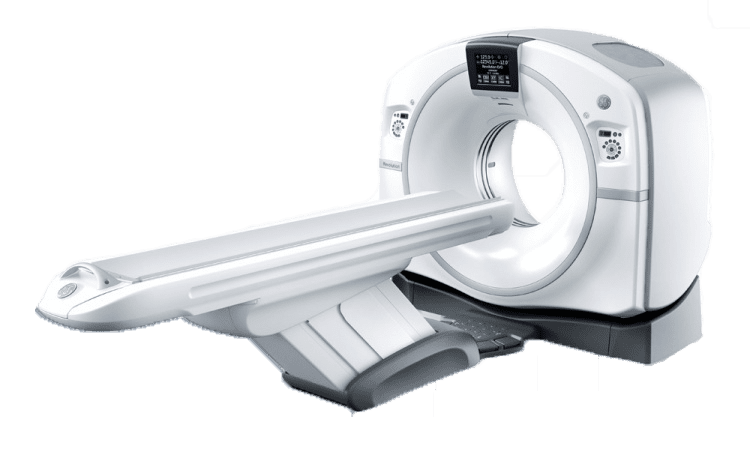 The GE Revolution EVO CT scanner is designed to deliver diagnostic confidence, elevated patient care, improved financial performance and clinical excellence. It allows you to manage the health of your patient population with precision, efficiency and the right dose giving you the flexibility to expand your services to stay on top of today’s standard of care. Shared Imaging offers flexible solutions to ensure you are equipped with the best CT system to enhance your patient’s experience. We can customize software packages, slice count and accessories to meet your clinical needs. Whether you are looking for the latest in technology or a reliable system, Shared Imaging can provide you with a new, used or refurbished system from most OEMs in a mobile, modular or in-house configuration. Our goal is to provide you the right technology in the right place at the right cost.